That certainly was about time! 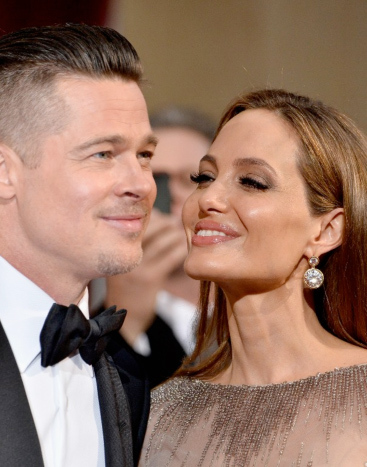 Today a spokesperson of Brad Pit and Angelina Jolie confirmed that the couple finally married last Saturday in a small chapel of Chateau Miraval, France. After being the world's most famous couple for almost 10 years, the two Hollywood megastars really tied the knot! The intimate ceremony was attended by merely 22 guests, including the couple's six children and Pit's parents. According to hollywoodlife.com Jolie's father Jon Voight, who she has a very difficult relationship with, was not even informed about the wedding. So instead of her father, her oldest sons Maddox and Pax escorted Angelina Jolie to the altar. After saying their handwritten vows and shedding joyful tears, the newlywed couple and their guests enjoyed a big celebration feast in the Chateau Miraval. It seems the perfect couple finally had their perfect wedding!